The Easiest Way To Find Your Perfect Care Match!!! Why Zorgers Healthcare at Home? Better than a traditional agencies & agents Caregivers get maximum benefits. Families get better management. Orientation, Healthcare trainings and continuous feedback through the healthcare assignments of Caregivers. Due to old age my Mother was facing some problems. So i appointed a Caregiver for her. "Best Caregivers. My mother is 90+ and bed ridden from last 4 years. Tried so many agencies from small to big but the care standards which Zorgers offers; no one can match. Hats off!" Mr. Prashant need attendant for his Mother after a knee replacement surgery. "Wow! Found my decision of connecting with Zorgers team as one of the best. Their attendant was able to take good care of my mother after a knee replacement surgery and their physiotherapy services are equally good as well"
Rashmi requested for Caregiver Services for her father aged 80+ for Basic Support. "I am happy customer of Zorgers elderly care services. They take good care of my father who is 80+ and needs assistance for various daily chores. Not just limited to providing a caregiver but also take pain in overall wellbeing of my father; which I like the most about this team"
Mr. Sanjay Bhayana opted Male Caregiver for his father to take care of him during the time when he was in Canada. "My father was planned to visit us from Canada. Being in his late 90s and limited visibility, he needs very close monitoring and support. That’s where we searched online and found us lucky to get connected with team @ Zorgers. Their Carers are just the best and overall management highly impressive"
Due to Old Age, i am unable to do my thing on to own. So i appointed a Caregiver for help. "I am 98 yrs old and have been more of my own till last few months. I am blessed with great family and its through my son’s recommendation, I got connected to Zorgers. I feel really happy to know about such organizations who are dedicated to help elderly live better. Their appointed caregiver has been highly courteous, compassionate and skilled to take care of my daily needs"
"Zorgers is simply the best. I have done my own due diligence in finding right care partner for my father who has been an Alzheimer patient from last 7 years. With me and my sister settled abroad, it has been a great pain for my mother managing my father’s daily routine. The decision for connecting with Zorgers has worked for us. Right from managing daily care, booking doctor appointment for them, sending doctor for house visits; they are awesome. I wish Zorgers all the very best"
A simply thanks as guys who helped me in bad and support me to improve my health. Now a days as society is getting little selfish or i would say everyone is busy with his/her own commitments the person whos has get ignored, Zorgers services a doing best to provide care to the needy people. It is the care and affection which is needed the most than even medicines for a sick person. I wish them all the best ahead. Old age made me little unhealthy so i decided to appoint a Caretaker. 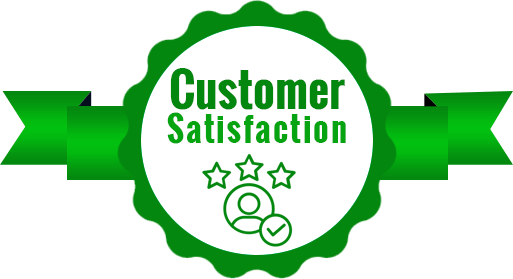 Overall, from the last 2.5 years of our association with your organization, we have not faced any major problem and we are completely satisfied with the services. Zorgers is doing a great job in Patient care as also generating employment opportunities for youth. After my heart Surgery i needed a support for myself. So i opted for Patient Care service. Generally has been a wonderfull experiences with agency & staff members. Totally appreciate the gesture on Father's day, hoping to have the best in the future. All the best.